After some Hamas officials claimed a rocket attack on central Israel early Monday morning which injured seven had been ‘accidental’ or caused by ‘bad weather’, senior officials in the Gaza-based terror organization and Egypt now say that the attack was intentional – and carried out at the behest of Iran, with the intention of altering the outcome of Israel’s upcoming general election. 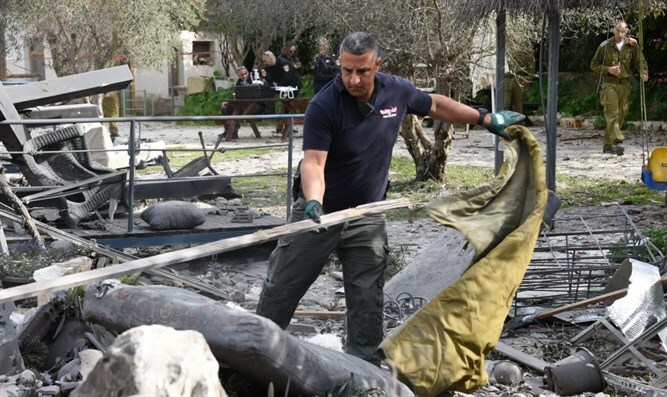 A senior Hamas official, speaking on condition of anonymity, confirmed to Israel Hayom Tuesday that the rocket which struck the Wolf family home in the town of Mishmeret in central Israel Monday and injured seven Israelis had been fired at the urging of Tehran. The Hamas official claimed that Iran had “gone over the heads” of Hamas’ leadership, directly ordering a cell operating out of the Gaza Strip to carry out the attack. The cell has been identified as part of the Islamic Jihad organization, a rival terrorist group which operates in the Gaza Strip and Judea and Samaria. While senior officials in both Egypt and Gaza confirmed that Iran had ordered the attack, they claimed that Hamas’ military leadership was aware of the plans to fire a rocket deep into Israeli territory – a major escalation of the conflict between Gaza and the Jewish state – adding that the leaders of Hamas’ armed wing gave their blessing to the attack. The senior Hamas official who spoke with Israel Hayom said that while the directive to launch the attack came from Tehran, Hamas also hoped the sudden escalation could help drive Netanyahu from office by harming his chances of winning reelection in next month’s Knesset election. “In Gaza, it is believed that Israel won’t launch a major operation in Gaza two weeks before the elections,” the official said. Hamas was surprised when Israel responded overnight with a series of airstrikes on Gaza, rejecting Hamas overtures delivered via Egypt for “quiet in exchange for quiet”. Israeli aircraft bombed dozens of Hamas targets across the Gaza Strip overnight in retaliation for the Monday rocket attack. According to a report by AFP, seven Gazans were injured in the IDF attacks. During the airstrikes, Gaza-based terrorists launched dozens of rockets towards Israeli territory. While Israel’s Iron Dome anti-missile defense system was activated during the attacks, one rocket hit and damaged a home in the town of Sderot in southwestern Israel. No injuries were reported.